Located in the Platte River Valley Overlook neighborhood, this project site offers unobstructed views of downtown Denver. A mid-century pre-cast concrete tilt-up structure, designed as office space for an engineering firm, has been occupied as a residence as of late. 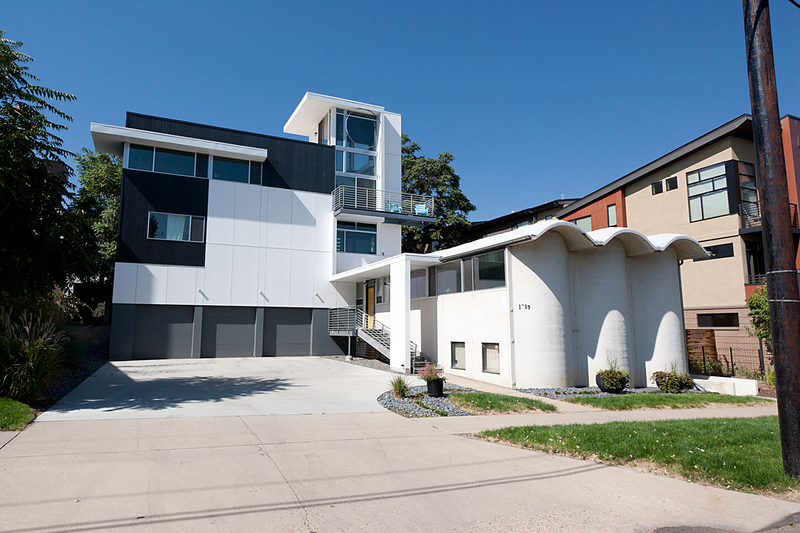 The multi-story addition to the residence includes a 3-1/2 bay garage, a sleeping level, a family level, and a cooling tower penthouse with landscaped roof access. In response to the rhythm of the existing architecture the proposed addition celebrates groupings of three throughout the buildings’ geometric pattern and structure.